Mojito or Pinacolada! Which Cool Mocktails Are you Sipping? 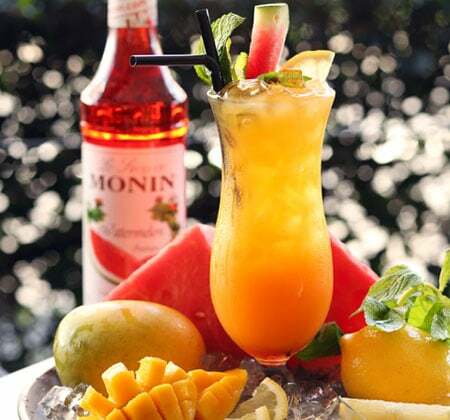 Are you a mocktail lover? Or are you just a regular customer walking into a restaurant at lunch break, looking for a quick bite to grab? Whichever category you fall in, everyone can ﬁnd beneﬁts with some added boost to their energy, especially with the hustle and bustle of life. Luckily, A lot of the lost energy can be regained with a few sips of tangy, ﬂavorful mocktails. They can refresh your mind and help pump up your spirits as well.you? 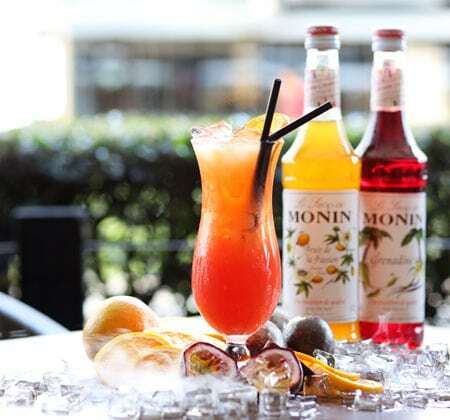 Whether you’re sitting in a steakhouse after a long day because you were too tired to cook dinner or you just need an energy boost to kick start your day, sipping on some cool, fruity mocktails packed with ﬂavour and taste could turn your day around. 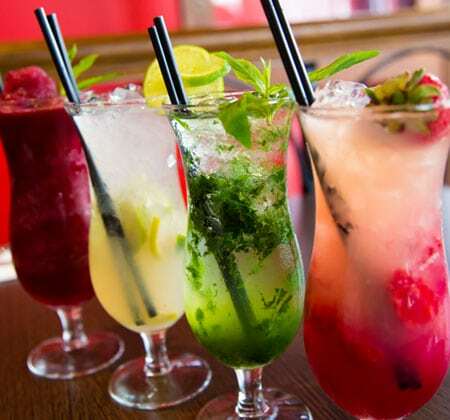 Mocktails are refreshing, colourful, non-alcoholic drinks that serve to be the perfect way of staying hydrated. The perfect complement to a meal, a mocktail could be the x-factor that could spice up your experience. In fact, one of the best parts about mocktails is that you can choose from a wide range of ﬂavours that suit your taste preferences. The variety of radiant colours and ﬂavours of these drinks are meant to brighten up any dull gathering. Be it a lunch meeting or a night out with friends at a fancy restaurant, mocktails are bound to put the “fun” in any gathering. If you want to impress as a host, the drinks need to be great because they’ll start off theparty just right. puck. So when you take your friends or family out to celebrate life, treat them right by asking the restaurant to serve your guests the most refreshing mocktails of the season. Your guests will simply love them, and you can be the season’s top host with your party drinks. The thing that is the most wonderful about these healthy drinks is that these are perfect for both adults as well as kids of all ages. This one is for all the berry-lovers out there. 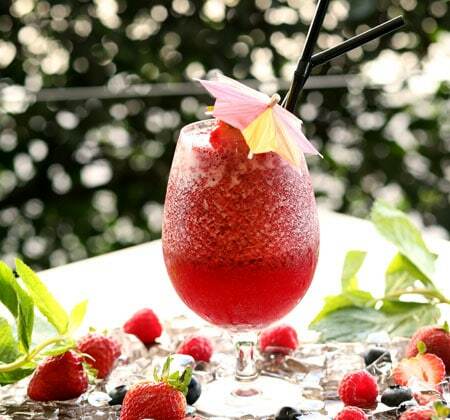 The Berry Blast are the favourite drinks amongst most of the mocktail-lovers. Biting into the ﬂeshy any type of berries is as exhilarating as taking sips of the mocktail While the berry blast is considered a go-to cool drink when it comes to their taste and health beneﬁts, various studies have revealed that the skin & pulp of berry tends to have anti-cancer properties at the same time. Add some maple syrup to your drink to enhance the overall taste of this delicious mocktail for the perfect treat. Moreover, it also ampliﬁes the overall immunity-boosting and anti-inﬂammatory beneﬁts of the nutrient-rich concoction. 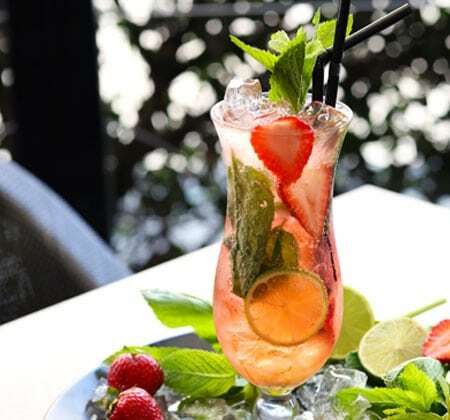 The ﬂavorful Strawberry Mojito mocktail is deﬁnitely going to be on your list of favourites. 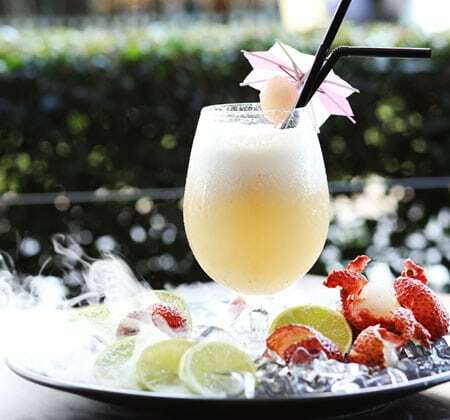 You can ask the restaurant whether they’re using frozen or ripe strawberries – whatever might entice your fantasy – for a perfect mocktail treat. This is because both frozen, as well as ripe strawberries, will deliver the right amount of tanginess and perfect ﬂavour proﬁle to your taste buds. Moreover, you can also be convinced of receiving the nutritional beneﬁts in the form of essential minerals and vitamins that can help in increasing the HDL – good cholesterol levels. While preparing this mocktail combination, it is important to note that the creamier you make the drink, the more nutritious it is going to be. When you select the coconut cream recipe, you will deﬁnitely achieve a thicker mixture. Moreover, you can also beneﬁt from the antiviral and antibacterial components of the coconut cream mixture. At the same time, coconut water is famous for its hydrating properties along with the richness of potassium content – perfect to keep your health and water balance in check. 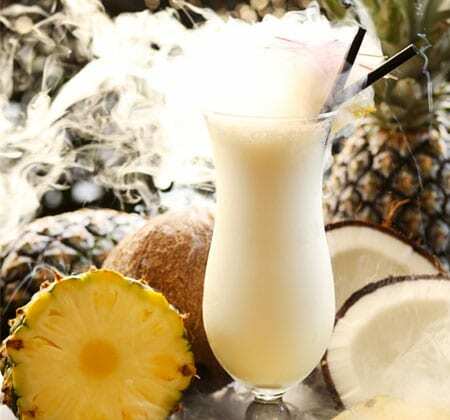 The presence of pineapple in the mocktail recipe is a primary ingredient for preparing the pina colada. Pineapple has multiple health beneﬁts including reduction in the inﬂammation of muscles & joints, boosting the immune system, supporting the respiratory health, and helping with proper digestion. 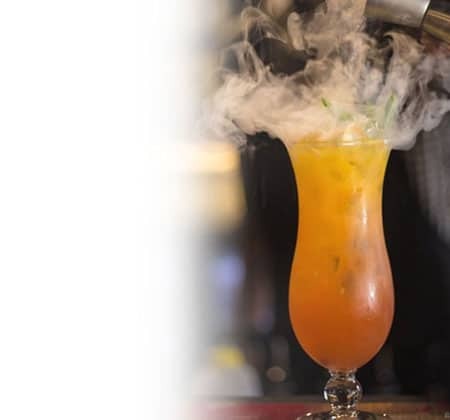 Volcano’s offers a massive variety of mocktails in our diverse menu. Volcano’s offers a massive variety of mocktails in its diverse menu. From pina colada to strawberry and watermelon mocktails, you can ﬁnd them all here. Sit back, relax, and sip to your favourite drink while enjoying a bite of scrumptious steak at Volcano’s Australia. Eye Fillet, T-Bone, or Rib Eye? Which steak are you having today?